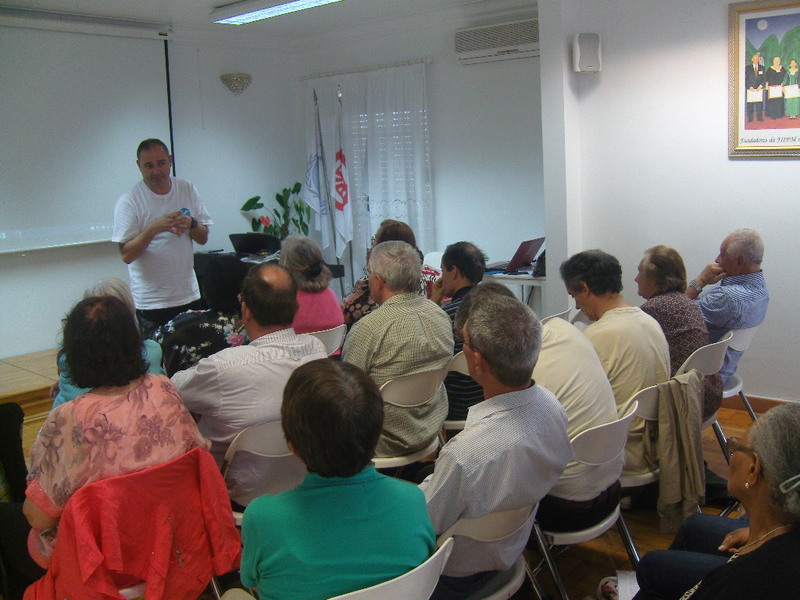 FFWPU Portugal, Sérgio Neto, September 12-13, 2015: After the return of Top Gun workshop participants (our national leader and others) who also participated at the celebration of the 3rd anniversary of True Father’s ascension, we had a weekend program where the blessed families of Portugal could meet to revive the high spirit and make a new determination for the development of our goals for the 2020 vision. 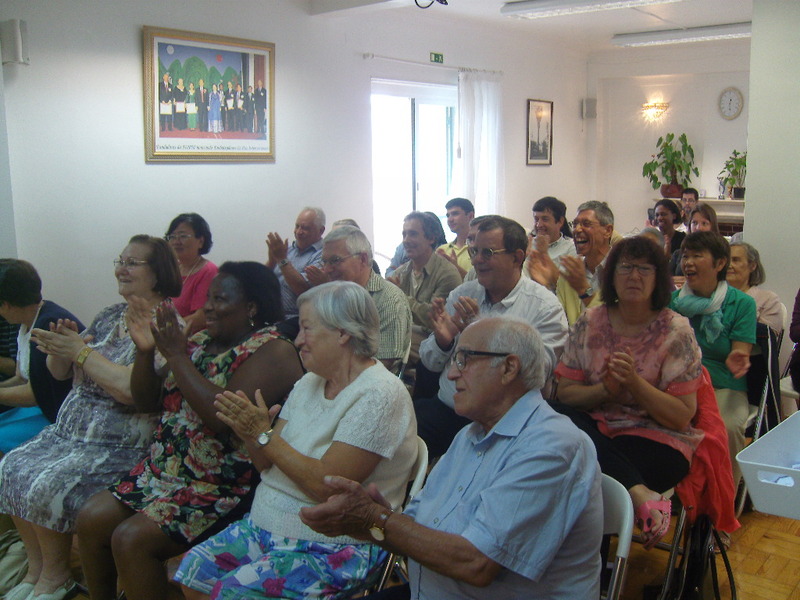 On September 12 and 13, we gathered at our headquarters. 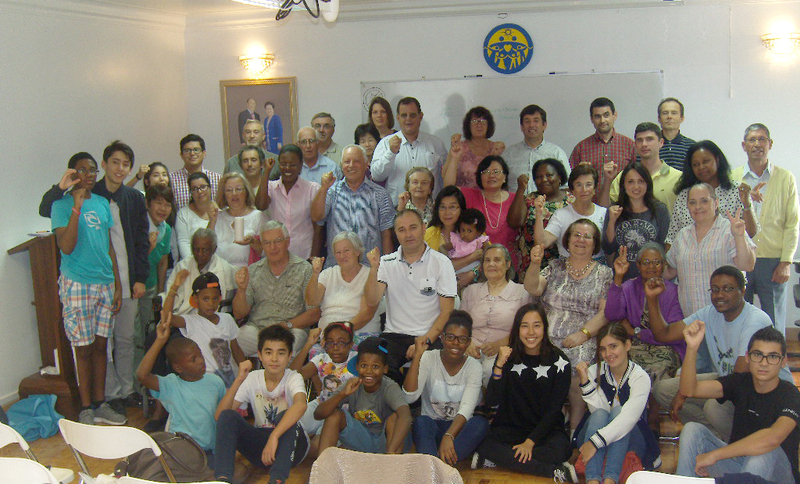 Participants included some Peace Ambassadors, 40 members (the Portuguese families) and some of our children, in total we had about 52 people, who stayed together during two days, to live as one body and soul centering on True Parents. All meals were offered by the HQ and no one had to pay workshop fee. Surrounded by a lot of energy and motivation that created a fabulous atmosphere all lived the moments spent by our leader in Korea, reflecting the points that were requested by the True Mother. 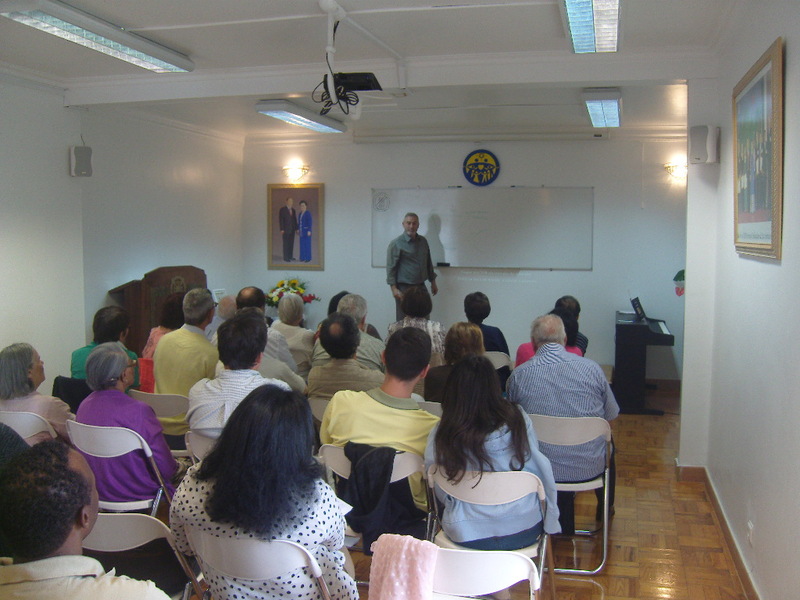 Many educational videos activities and revitalization were included in the program as well as testimonies of several members with responsibility in organizations such as WFWP, WPF, Witnessing and also some members who have given their best to distribute the True Father’s autobiography or develop Tribal Messiah’s work and some lectures from Divine Principle. We hope that everyone can now put into practice all the policies that have been proposed to us.